If you manage a business website, you may be looking for new ways to attract more customers toward your products and services. If you’re stuck for new ideas, here are 9 effective uses of landing pages to drive higher customer conversion. 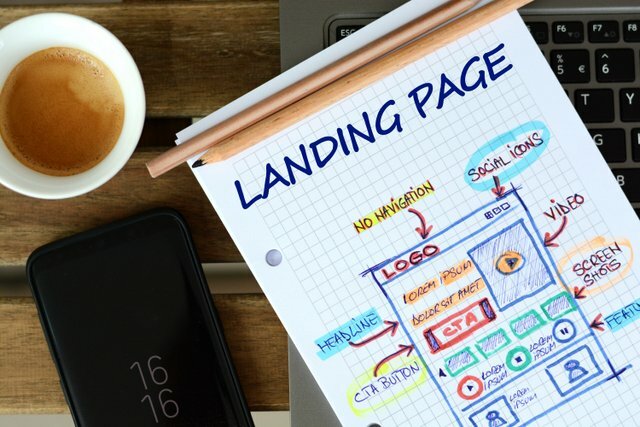 Many businesses think their landing page is their homepage, but studies show successful companies use multiple pages as landing pages, including the homepage. Effective landing pages optimization create quality conversions, so make sure you’re using your landing pages to their maximum capacity. A landing page can be used to highlight your best selling product, a new product, or a product you want to boost. To make this option worthwhile, make sure you display it well and provide a clear link for clients to purchase. Instead of having a sign-up popup or sign up in the menu, where it can be overlooked, why not create a landing page with one-click signup? It’s bold, clear, and will generate more subscriptions than any other method, provided the page tells customers why! A landing page that takes an in-depth look at one of your products or services is a great way to boost conversion of that item. If you make it honest and professional, it will do better for your bottom line than reviews hidden at the bottom of your website’s homepage – but they’re nice to have too! Whitepapers are expensive to generate, so why not boost the chances it will be read widely by creating an entire landing page that promotes the document. This also applies to eBooks and other materials, which are more eye-catching displayed on their own page. Customers love free trials, giveaways, competitions, discounts, and coupons. Why not dedicate a specific landing page to one and make it shareable, so your customers can share your product with their friends on social media? If you have a lot of customers who consider your product but fail to follow through, consider adding a landing page dedicated to a specific influencer experience. Influencers are hard to track, but with a dedicated landing page, you’ll be able to see their value on your bottom line in an instant. Why do customers need your products and services? Answer this question in a dedicated landing page that educates clients about the benefits of your products, the way you make your products or the science behind your manufacturing. Customers love behind the scenes peeks of their favorite brands – why not consider doing this with your team? Company statistics can be a compelling converter, but only if you link what your company has done with what you can do for your potential clients. If you’re making a landing page dedicated to your success, provide a clear link for clients to get some of that success for themselves. Plenty of customers would love to attend every event they see, but the reality is most people are stuck in their day jobs. If you’re hosting an event, consider creating a dedicated live stream homepage and running it at later times, so all your customers can feel included. Regardless of the landing pages optimization you choose, match each landing page to the expectations your customers get from the original link. Provide customers with a compelling reason to proceed, and you’ll see higher conversion across the board in your next analytics report.